A few issues that came up during a recent Pennsylvania motorcycle accident lawsuit trial, that I thought were worth writing about. One issue that came up time and time again was the police report and the statements of the motorcycle accident parties and witnesses contained therein. While a motorcycle accident victims do not have any control over what witnesses say to a police officer, you have complete control over what you say to the officer. Other than giving your basic information, name, drivers’ license and insurance information, you are not required to give a statement to the officer at the scene of a Pennsylvania motorcycle accident, or at any other time with regard to how the it happened. 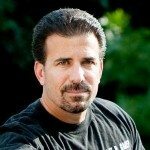 I am not necessarily suggesting that you refuse to give a statement, however, if you have just been involved in a Pennsylvania motorcycle accident, experienced Pennsylvania motorcycle accident lawyers would recommend not giving a detailed statement about the accident unless you are 100% certain that you are in your normal state of mind. If you feel compelled to give a statement, I suggest that you keep the statement as general as possible without reference to exact distances or speeds. You can always contact the police once your head has cleared and you are absolutely certain as to how the motorcycle accident occurred. The reason for this is simple… if you give a statement that is in anyway ambiguous, unfavorable or unclear, once memorialized in the police report, that statement can and will be used against you in a motorcycle accident settlement or lawsuit by the insurance companies. These same rules apply when being asked to give a statement to any insurance company. In most cases if you are contacted by an insurance company they will ask permission to record your statement and I can’t tell you how many times I have had client’s tell me that they have absolutely no recollection of even giving a statement, which was given a couple of days after the accident. However, once this statement is memorialized, if unfavorable, it will be used against you in your motorcycle accident claim regardless of whether or not you remember giving it. In the particular case we just finished, the investigating officer refused to cooperate during litigation so there was no opportunity to question him about the statements he took and therefore we were stuck with his interpretation of what the parties and witnesses said, along with his measurements of the physical evidence left at the scene. Additionally, although I have spoken before about the dangers of internet blogs, websites, chat groups and the like, there has recently been a new discussion in one of the motorcycle accident lawyer chat rooms that I participate in, dealing specifically with defense attorneys asking the courts to give them access to clients’ Face Book pages. This is the first time I have heard this specific request, however it appears as though this is the new reality of what we are faced with. 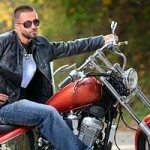 Not only can this potentially lead to some embarrassing moments, but it could also be used to discredit whatever claims you may be making as a result of your Pennsylvania motorcycle accident. Bottom line is, as I tell all of my clients, once you are involved in an accident, nothing about that accident should ever be discussed on the internet. 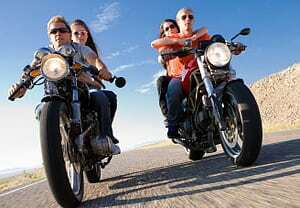 Call Pennsylvania motorcycle accident attorney Lee D. Gaber, Esquire with any questions. I can always be reached at 888-292-5352 (888-CYCLE-LAW).